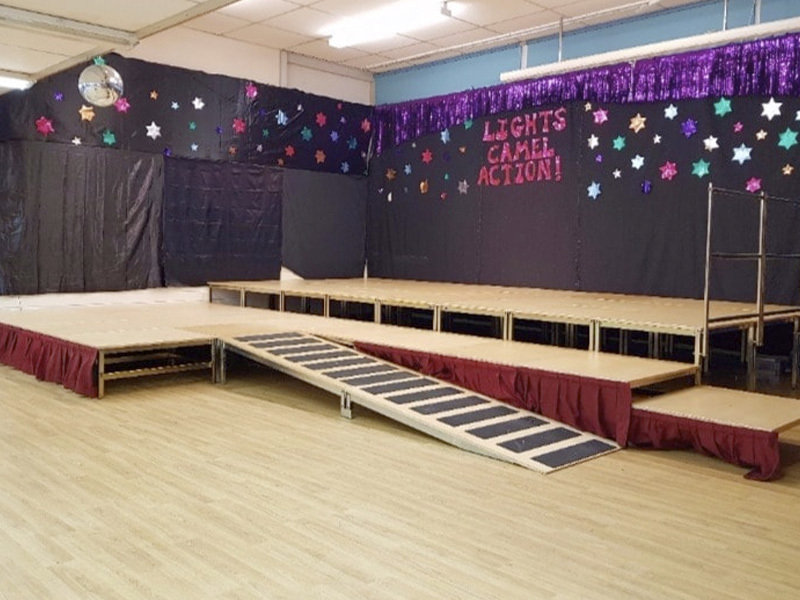 With over 10 years as an industry leader in portable staging, Unistage is perfectly positioned to help secondary schools choose the right staging solution for their needs. 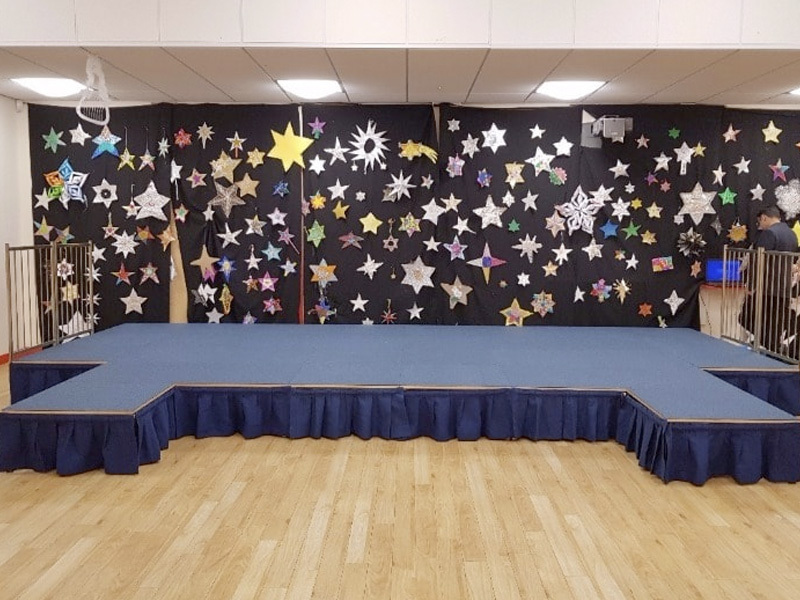 Our expert in-house designers have created a range of tailor-made modular staging solutions that are guaranteed to make the grade with our secondary school customers. 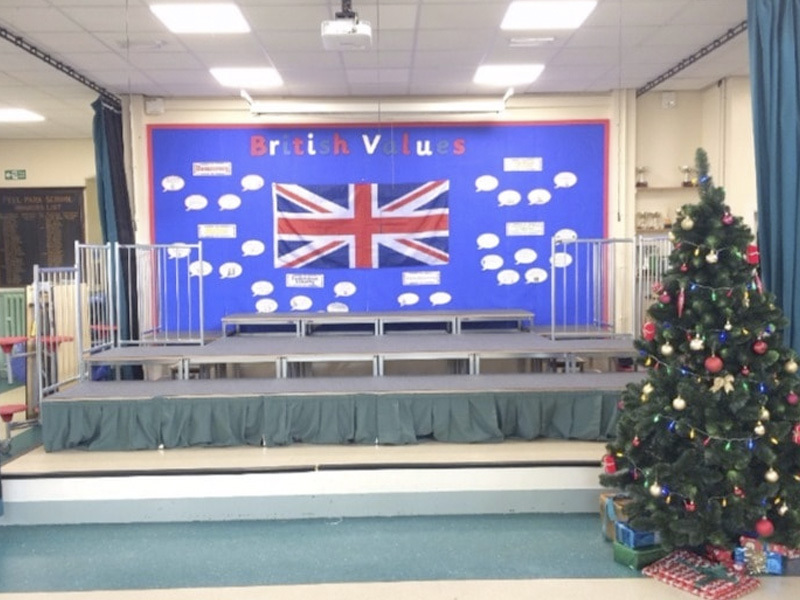 Easy to put together, reconfigure and stack away, our staging is ideal for helping staff and students to transform their space. 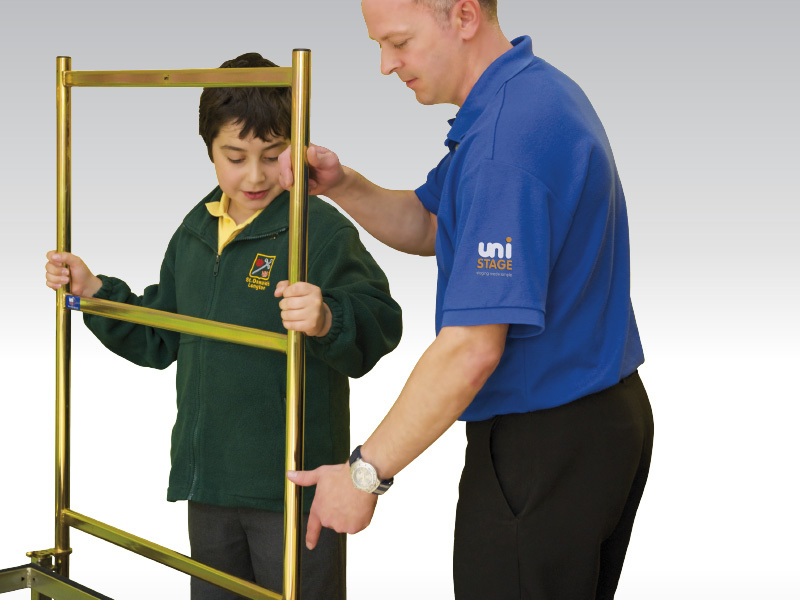 Perfect for assemblies, presentations, productions and a wide range of activities, Unistage staging tucks away neatly when not in use, adding variety and versatility to your gym or assembly hall. Easy to pack away, store and transport – our staging comes with a handy wheeled shuttle. Light and safe enough for students to use independently, boosting confidence and team work. 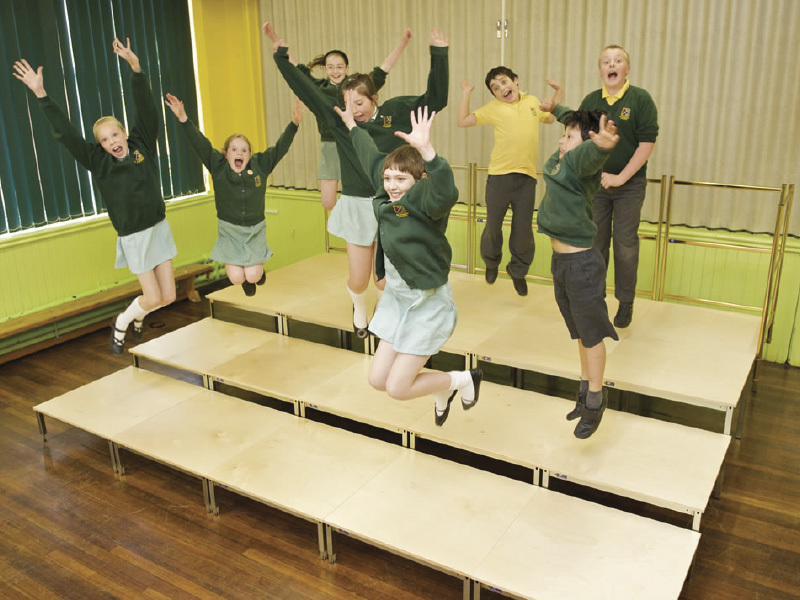 We know any investment a secondary school makes needs to be carefully considered, which is why our range of flexible and long-lasting staging systems is specially designed to meet your requirements and offer long-term, lasting value. 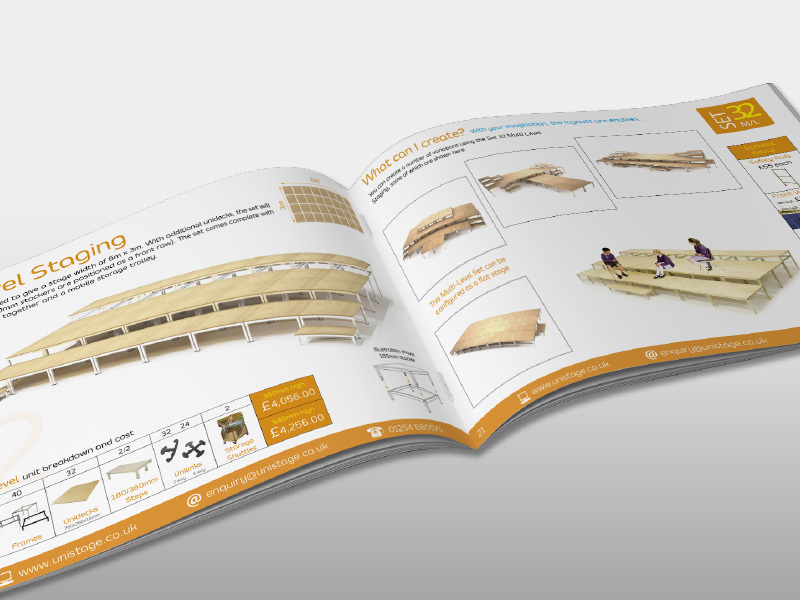 Our flat and multi-level staging systems come in a variety of sizes, all of which are completely customisable so you can transform your gym or assembly hall in any number of ways. Unistage staging is quick and easy to put together and can be stored away neatly when not in use, helping you to free up as much space as possible. 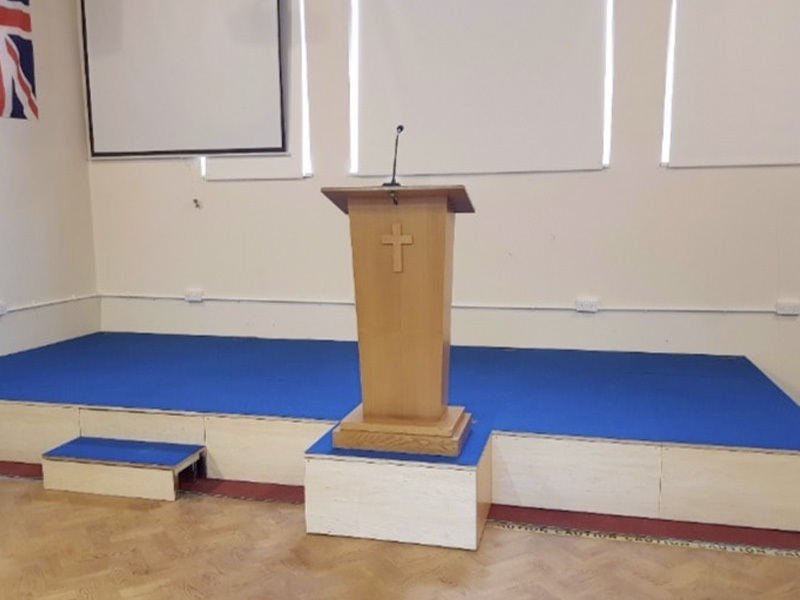 Ideal for everyday assemblies, regular activities and classes or end-of-term events, our modular staging is designed to offer the best value for money from just a single, cost-effective solution.